Although Forza Motorsport 5 game has already been released, its developers don’t stop working on creating all sorts of bonuses and other additional content for this racing simulator. 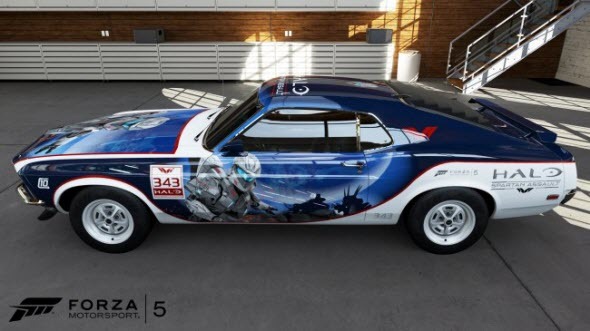 Thus, yesterday it became known that 343 Industries studio - the developer of Halo: Spartan Assault game, the fresh information of which we have reported this morning, - with Turn 10 studio created an exclusive car for Forza 5 game. 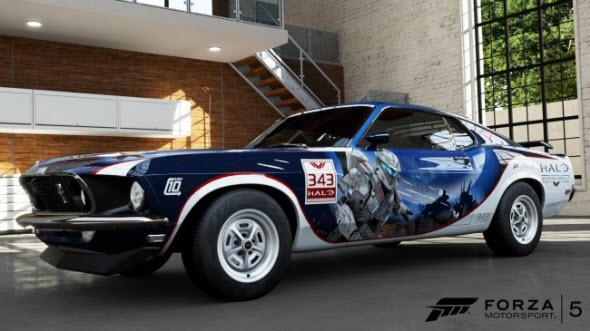 New car is Ford Mustang Boss 302 (the 1969 year model), painted in the style of Halo: Spartan Assault. Although it is unknown what you should do or how much you have to pay for the opportunity to steer this car, but already now you can get to know how this automobile looks like thanks to several screenshots published below. 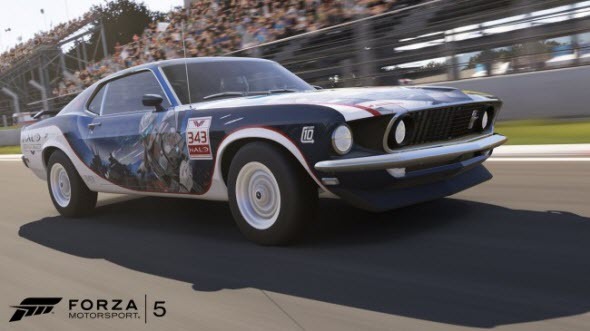 Besides it 343 Industries studio presented Forza Motorsport 5 video, which not only shows us the car from the various angles of view, but it also gives a possibility to see it in action, i.e. on some circuit. Therefore we advise you to sit back, watch new Forza Motorsport 5 video and enjoy the view of the stunning Ford Mustang Boss 302. In the meantime, we are reminding that Forza Motorsport 5 game was launched exclusively for Xbox One at the end of the last month.